What’s so special about Linquip? Read below what respected ‘Others’ have to say! 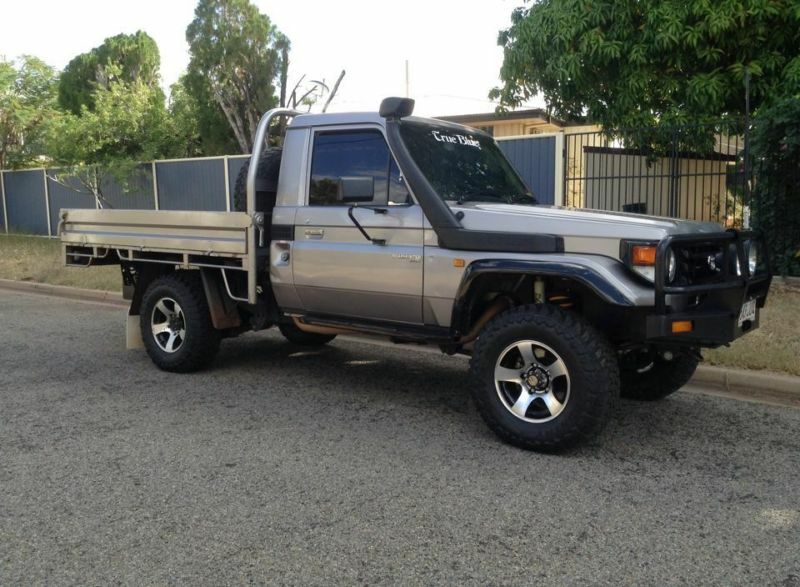 THE OWNER of this H78 Series Toyota trayback had put less than 27,000km on the clock when he decided he had to power up. A cotton farmer from Collarenebri in NSW. He spends most of his time hauling along the great expanses of flat, straight roads that black soil district is famous for. Moree, the nearest big town, is a 140km straight-line haul and Dubbo, business centre of the district, is a good 300km away. It’s distances like these and the need to tow big loads that saw him purchase the 4.5 EFI petrol model in the first place because they’ve got the highest gear ratios in the ‘Cruiser range and the most power. However his last vehicle had been an H75 Series that Linquip Engineering in Brisbane (now Gympie) had implanted with a 6.2-litre Chevrolet diesel. The new 78 might ride a whole lot better with its coils up front and great long rear leaf springs, but our man missed his V8 diesel pulling power. So after another run to Linquip the near-new EFI motor was pulled in favour of a rebuilt 6.5 naturally aspirated Chevrolet diesel V8. Linquip strips their imported motors, acid bathes the blocks, machines whatever needs it, and then reassembles the motors with a precision that’s usually better than the original assembly line, thanks to an added dose of TLC. Balancing all the components is an option, and a very worthwhile one from my experience. Originally designed by Detroit Allison as a light truck motor, the General Motors V8 diesels have a lot going for them, especially in applications that require the ultimate in reliable power. Unlike most modern motors, they’re very basic electronically – not much more than a 12-volt wire to the fuel shut-off solenoid, and another from the oil pressure gauge. Compare that to the Toyota six’s complex electronic fuel injection and engine monitoring systems, and you can bet most country mechanics would vote V8 all the way! They’ve got hydraulic roller cam followers too, sealed for life so they never wear out camshafts. The timing chain is a double roller item, dead simple and good for the 500,000km-plus service life you’d expect from a Linquip rebuild. An 8-litre sump capacity gives the V8 a small oil pan, making the fit perfect, while the whole plot weighs about the same as the Toyota six anyway! Copyright © 2014 Linquip Automotive. All rights reserved.